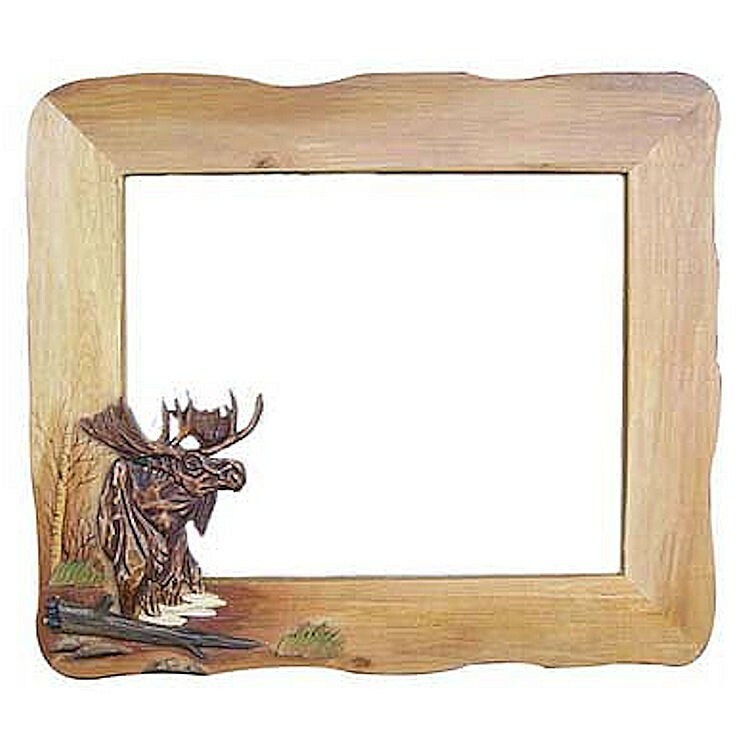 The Moose Mirror 30 x 36 features a moose in the forest in the left corner of the mirror. 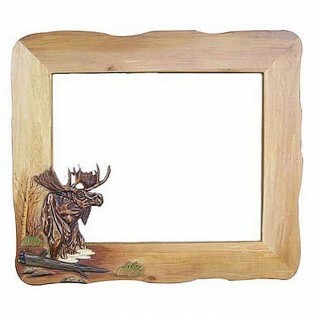 Add this nature inspired wood art at your home or office. This product is made up of several different woods which are hand painted and layered to give a realistic 3-D appearance. It is then finished with a clear lacquer coating. Due to the hand crafted nature of this item, materials and color may vary slightly. Comes ready to hang.